The Rupin Pass Trek is one amongst the most ecstatic and a delightful trek to go on to for every trekker. It is a high altitude trek at an elevation of 4650 mts that starts from Dhaula in Uttarakhand and ends in Sangla in Himachal Pradesh. The Rupin Pass Trek is not just a high altitude two states trek but it is no less than a heavenly kingdom for all the nature lovers. The trek holds gorgeous sceneries along with sudden variations in the trail which gives it a kaleidoscopic beauty. The scenery is complimented by the blue waters of the Rupin rushing along it, culminating the very famous three stage waterfall of Rupin. For those who want to have a complete experience of every kind of sightseeing in the Himalayas, be it, the hanging villages, the dense forest, the snow glazed peaks, hundreds of waterfalls or the glacial meadows; The Rupin Pass Trek is a treat to drool for. The trek maybe drool worthy but it is a moderate-difficult trek and requires a good level of physical fitness and a good lung and cardio power, so make sure you prepare yourself nicely before heading out for trekking to the Rupin Pass Trek. The Rupin Pass Trek holds on to an extremely gorgeous adventure that is both badass and beautiful. 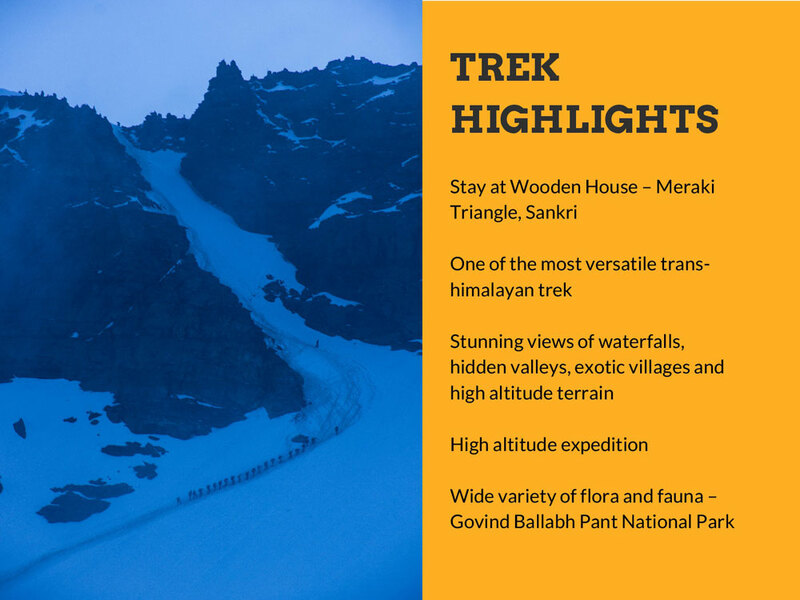 While trekking to the Rupin Pass you may find the following memorable sceneries and things. Waterfalls- at Rupin you will encounter hundreds of waterfalls cascading down with a rush from high mountains, these waterfalls fall from such a height that it may seem as if they are falling from the sky. Jhaka Villgae, the hanging Village- a very well established and uniquely positioned village which is located at the edge of a mountain range, making it appear to hanging out through a cliff. Snow Bridges- There are numerous snow bridges on the trek, looking at these bridges covered completely in snow in the middle of the Himalayas is a sight worth memorizing. Dense forests- The trek passes through the dense forest of Fir, Rhododendron and Oak which have stunning views. Kinnaur Temple- It is a two storey temple of the Kinnauri culture at Sewa, very intriguing it is. Views of Kinner Kailash- The Lofty Kailash Peak holds a mesmerizing view to it which will leave you smitten by the beauty that the Rupin Pass Trek unfolds. Reach Dhaula- 10 to 11 hours drive from Dehradun, reach at Dhaula with the transport medium selected by your trekking company. Trek Gradient- Moderate, Initial Climb for a couple of hours followed by an easy oscillating walk with short climbs and drops. Trek Gradient- Difficult, easy walk for the first 3 hours followed by a steep ascent to Jiskun for 2 hrs. Trek Gradient- Difficult. An hours descent followed by an hour’s steep ascent, easing off till the fir forest. Steep descent for an hour followed by a gentle walk. Trek Gradient- Moderate continuously climbing trail, tricky around the snow patches at the base and top waterfall. Trek Gradient- Difficult steep climb to pass followed by a steep descent. Trek Gradient- Moderate- difficult, continuous descent till Sangla. 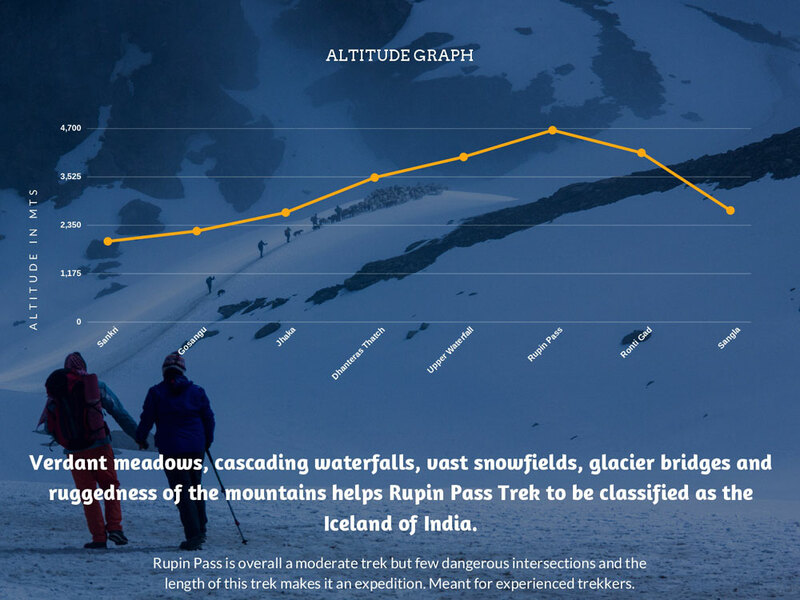 What is Rupin Pass Trek famous for? Rupin Pass Trek is famous among tourist as Trekking, Pass, Expedition, Summer Trek. Rupin Pass Trek is recommended destination for Corporates, Couples, Foreigners, Groups. Rupin Pass Trek is popular destination for following activities/ interests - Adventure, Camping, Meadows, Trekking, Waterfalls. 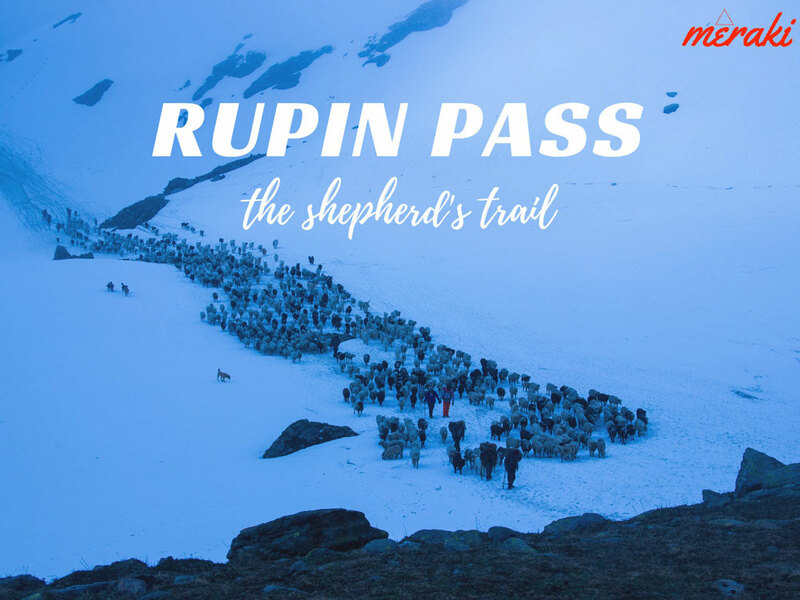 Travelling to Rupin Pass Trek in 2019? Contact us for planning your Rupin Pass Trek tour with best travel packages of as per your requirements!